1. Combine warm water, warm milk, sugar, and yeast. Let stand at room temperature for about 5 minutes to activate the yeast. 3. Combine Flours, and salt in a larger bowl. Add butter and crumble with fingers quickly to make small crumbly pieces. Stir in beaten egg and yeast with a wooden spoon. 4. Fold out onto well floured surface and knead for 10 minutes or so. Use the palm of your hand, and pick up the dough and slap it down on the counter every couple of turns. It’s fun:). 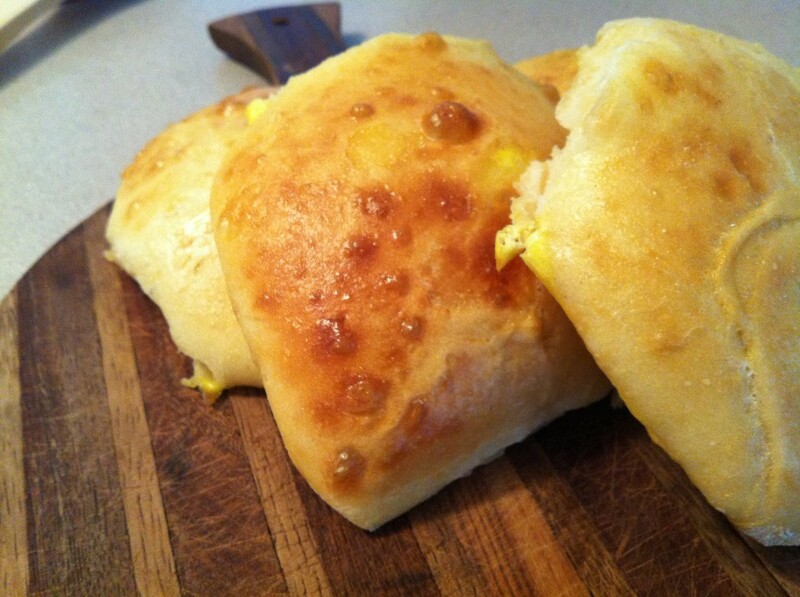 Try to use as little flour as you can, so the dough does not become too tough. You want fluffy light buns. 5. Return ball of dough to the bowl sprayed with oil, and let it rise until doubled in size. About an hour. 6. Line baking sheet with parchment paper. Fold dough out onto counter and cut into 6- 8 pieces in small ball shapes. Flatten to disc shape and place on parchment paper. Cover loosely with plastic wrap and let rise until doubled in size. About an hour. 7. Prepare egg wash by whisking on egg with 1 tbsp of water. Set aside. 8. Set a larger pan of water at the bottom of your oven to help steam the buns. Pre heat oven to 400 degrees. Lightly brush tops of buns with egg wash. Bake for about 15 minutes, or until yummy golden brown. Set on a cooling rack. Let cool before you slice them open.